With approximately one-third of all food produced worldwide (the equivalent of $1 trillion) getting lost or wasted in food production and consumption systems, many grocery stores have decided to take a stand. With approximately one-third of all food produced worldwide (the equivalent of $1 trillion) getting lost or wasted in food production and consumption systems, many grocery stores have decided to take a stand. Some have decided to eliminate plastic, others commit to stocking their stores with only seasonal produce, while others yet work to salvage food that would otherwise be wasted. 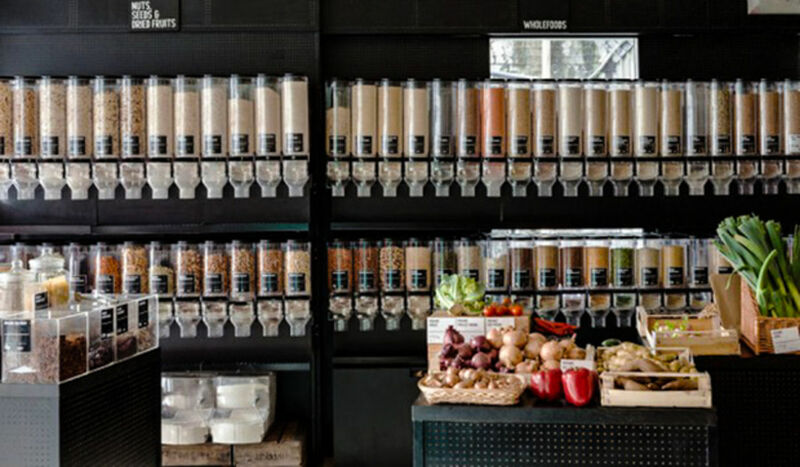 These five Innovative supermarkets are using modern means to do good for both people and the planet. WHAT: This supermarket only stocks food that is past its official expiration date or unwanted by other supermarkets because of aesthetic imperfections and damaged packaging. The food is sold at a highly discounted price – somewhere between 30 to 50 percent cheaper than other standard supermarkets. HOW: In order to fill its shelves, WeFood has established a web of partnerships with local supermarkets, butchers, and produce importers. 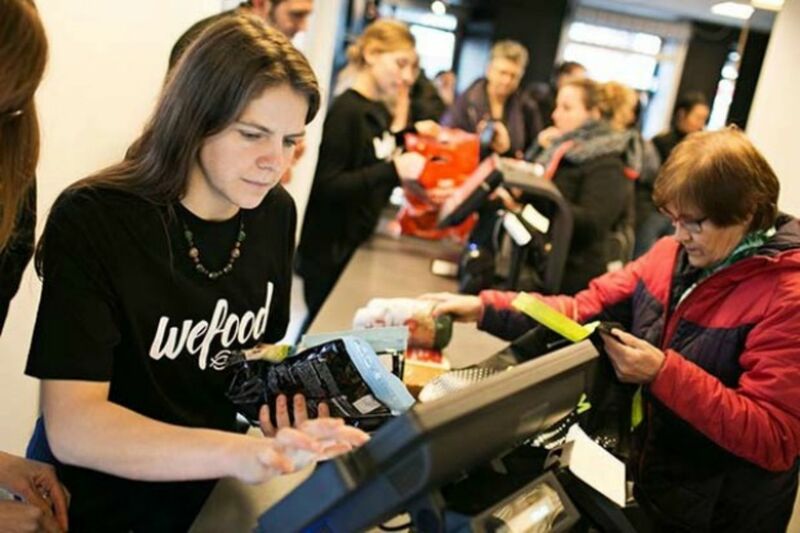 WHY: WeFood is helping bring nutrition to households that struggle to put food on the table by making use of the 1.5 billion pounds of edible produce that is sent to to landfills in Denmark as a result of food safety and esthetic being prioritized over food waste. WHAT: Original Unverpackt (Original Unpacked in English) is a no-packaging, no big-brand names, zero-waste supermarket – the first of its kind in Germany. HOW: Food at Original Unpacked is sold mostly in bulk from gravity dispensers that line the walls of the supermarket. Customers simply press the handle on the dispenser to purchase exactly how much they need. 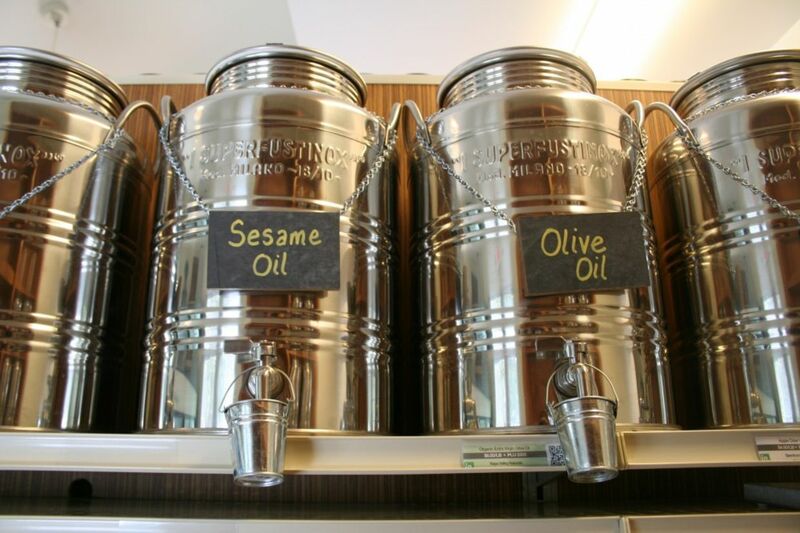 Customers are also encouraged to bring their own containers from home, or they can purchase from the store. WHY: Buying in bulk typically encourages customers to purchase just what’s necessary, thereby reducing food waste. In addition, the “unpacked” aspect of the store means less plastic pollution. WHAT: A non-profit grocery store that gathers nutritious food that would otherwise be wasted, prepares ready-to-eat meals with it, then sells it at extremely low prices. WHY: Daily Table tackles a number of issues surrounding food insecurity. 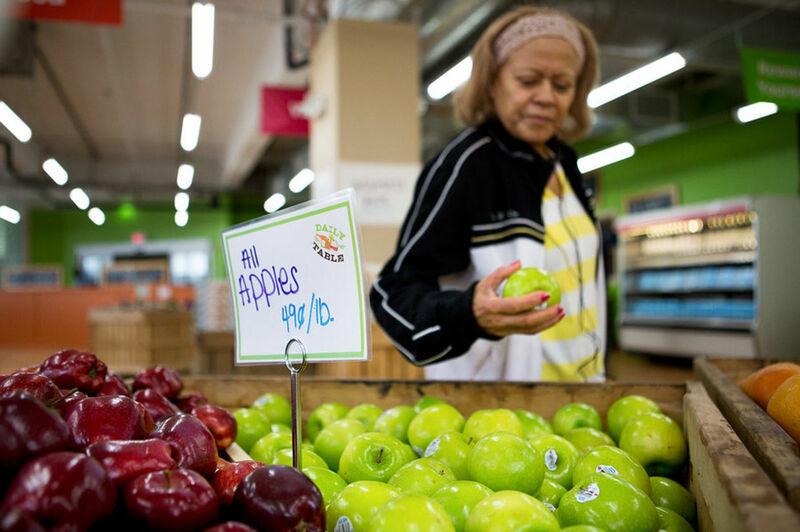 First, that food deserts are more about the inaccessibility of healthy foods. Second, that around 40 percent of the food we grow is thrown out. Third, that food insecure Americans aren’t looking for handouts – they would prefer to buy a product. And fourth, that 80 percent of Americans don’t know what they’re having for dinner at 4pm in the afternoon. HOW: Daily Table partners with vendors to collect excess food – most of which is unblemished. Half of the food is sold as produce, and the other half is prepared into ready-to-eat meals. The food is priced, but at very low costs. WHAT: In.gredients is a neighborhood micro-grocer that sells organic, non-chemically treated food in bulk, as well as seasonal produce and other products, ranging from alcohol to household items. HOW: In.gredients promotes ‘precycling,’ wherein customers come to the supermarket with their own containers from home. They also only sell local foods with pure ingredients. WHY: This supermarket sprung into action after realizing that 40 percent of packaging accounts for nearly 700,000 tons of garbage that pile into American landfills every single day. WHAT: Stockbox is a miniature grocery store that is tucked inside a reclaimed shipping container and placed into the parking lot of an existing business. Their model is a revamp of the classic corner store, except, in addition to the usual staples, they also provide healthy, local and organic food at competitive prices. WHY: Stockbox was created to improve access to healthy food and ease the burden for families living in food deserts – urban urban spots where healthy and fresh food is hard to find. 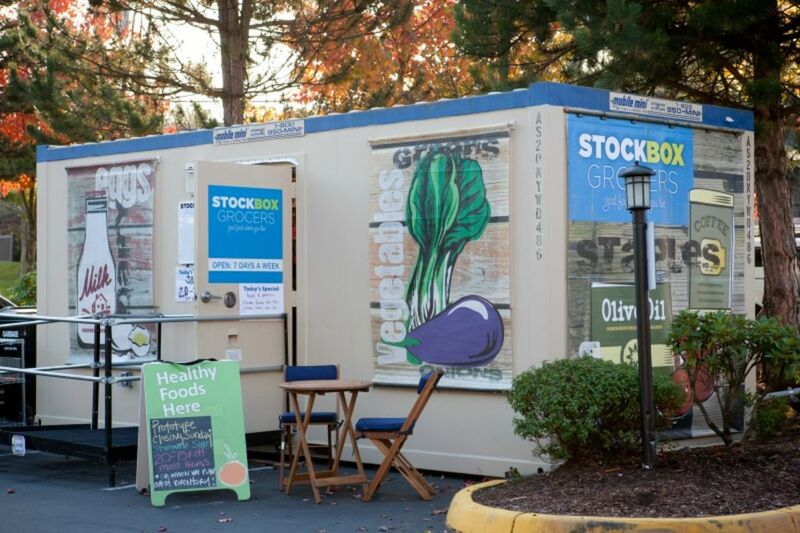 HOW: Stockbox is specifically built in accessible locations that are also meant as a hub for fresh food, as well as community connections and engaging experiences. The original post can be seen on Goodnet here.